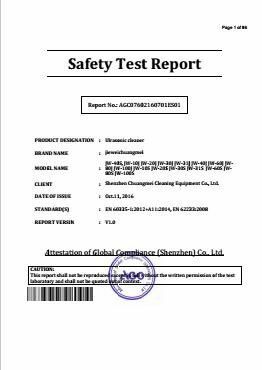 Quality Control - Shenzhen Meixin Technology Co., Ltd.
Visit the factory of raw material supplier, check the sample before order to ensure the quality of our ultrasonic cleaner, car data recorder, and VR. Our QC team check every raw material before storage, and return the unqualified goods. If the percent of unqualified is higher than 5%, we'll return the batch to supplier and ask them to send the new ones till all of them fits up with our requirement. 4. 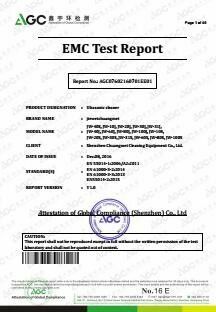 100% testing before stock. Every ultrasonic cleaner will test at least 4hours before stock to make sure 100% up to standard before stock. We'll retest the machine before delivery to ensure that it's in good condition. All machines are packed with pastic bag first, then PE foam to protect from collision, and well packed with export carton. For industrial machine, machine will be packed with export wooden case.